Kit Cat Purr Puree Plus+ cat treats was created by our nutritionists who are also cat lovers and made with the goodness of carefully selected natural ingredients which contains no added colours or preservatives. 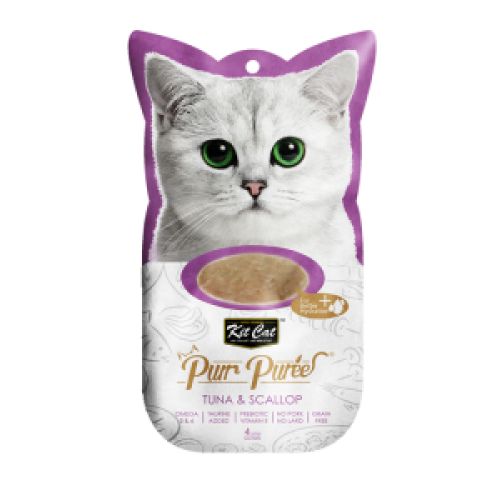 Deboned tuna, fresh scallop, water, modified starch, thickening agent, tuna extract, taurine, vitamin E.
Daily feeding amount can be adjusted according to your cat’s size, weight age, and activity level, supplemental feeding only. Serve at room temperature. Do not Microwave the sachet. 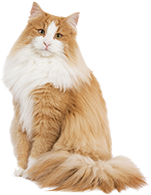 For cat over 2 months old,it is recommended to mix with other nutritional food to meet cats’ dietary need. Keep supplying water for cats regularly.